Light entering your eye passes through a natural lens located behind your iris. As you age, the lens might cloud up, turning hard and slightly yellow. These changes, called a cataract, will affect your vision, resulting in slow changes to near and distance vision. You might also experience problems with glare and colors. To restore vision, cataract sufferers might want to turn to alternative treatments, but supplements and food products such as apple cider vinegar will not reverse cataracts. Cataract formation occurs from a process called oxidative stress, which results when molecules called free radicals pull apart a healthy cell. In the natural lens, this causes the protein cells to clump together and, over time, this continued effect will result in a cloudy, hard lens that disrupts the light entering your eye and alters vision. Once free radicals damage the proteins that make up your lens, products such as supplements and food cannot repair or reverse damage. Apple cider vinegar is a fermented product derived from apples, and different brands of apple cider vinegar will have different nutritional values based on any additives. Many people use apple cider vinegar in recipes, but others also believe apple cider vinegar could have important health benefits. In his book, “Dr. Earl Mindell’s Amazing Apple Cider Vinegar,” Mindell says apple cider vinegar could help prevent cataracts. This might, in part, stem from the antioxidants found in the vinegar. You can work with your doctor to formulate a plan that will help you prevent or slow down the progression of cataract formation. The plan might consist of lifestyle changes, such as increasing your intake of antioxidant-rich fruits and vegetables, as well as other healthful foods. You can talk to your doctor about apple cider vinegar, but you might find that you can get more antioxidants from fresh, tasty foods than from taking a spoonful of vinegar. Other prevention options might include maintaining a healthy weight, exercising and quitting smoking. You should also wear sunglasses when you spend time outdoors because ultraviolet sunlight exposure could increase your risk for developing cataracts. Do not use apple cider vinegar as a supplement or treatment for any health condition without first discussing the product with your doctor. 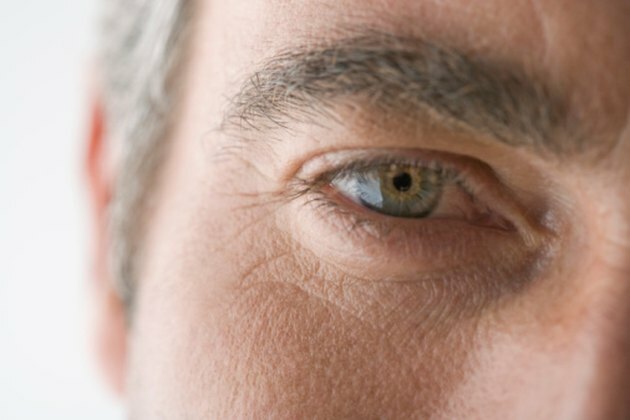 If you experience vision changes, contact your doctor for an appointment. Certain eye conditions require prompt treatment to prevent permanent vision damage, but cataracts do not require treatment unless your vision interferes with reading or other activities you enjoy. Surgical removal is the only known treatment for cataracts.